Hot aisle/cold aisle is a layout design for server racks and other computing equipment in a data center. Effective airflow management strategies are the best practices to reduce energy consumption in data center; this method of containment makes existing cooling and power infrastructure way more effective reducing tremendously the energy bill. A well renowned approach is the hot aisle and cold aisles of the IT racks; the cold aisle containment happens when the data center installs end of row doors, overhead vertical wall systems to contain the a/c air that the cooling systems send to the cold aisle; this aisle sole purpose is to keep the cold air in and the hot air out. With this technique data centers ensure that only cold air flows into the racks. The hot aisle on the other hand works the same way as the cold aisle; the host aisle´s purpose is to keep the hot air inside the aisle and the cold air out. 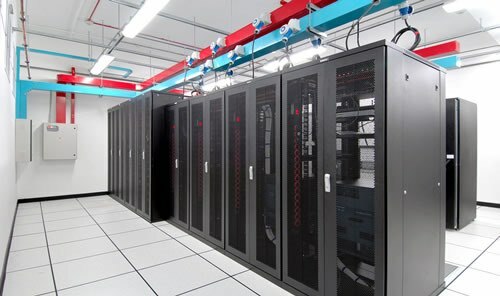 When using these techniques data centers obtain great advantages like conserving energy and lowering cooling costs by managing air flow. Three Words: BACKUP, BACKUP, BACKUP!